1. By using EBX you agree to be bound by these terms, which shall take effect immediately on your first use of EBX. If you do not agree to be bound by all of the following terms please do not access, use and/or contribute to EBX. 2. The EBX may change these terms from time to time and so you should check these terms regularly. Your continued use of EBX will be deemed acceptance of the updated or amended terms. If you do not agree to the changes, you should cease using this website. If there is any conflict between these terms and specific local terms appearing elsewhere on EBX (including house rules) then the latter shall prevail. 3. You agree to use EBX only for lawful purposes, and in a way that does not infringe the rights of, restrict or inhibit anyone else’s use and enjoyment of EBX. Prohibited behaviour includes harassing or causing distress or inconvenience to any person, transmitting obscene or offensive content or disrupting the normal flow of dialogue within EBX. 4. All copyright, trade marks, design rights, patents and other intellectual property rights (registered and unregistered) in and on EBX and all content (including all applications) located on the site shall remain vested in the EBX or its licensors (which includes other users). You may not copy, reproduce, republish, disassemble, decompile, reverse engineer, download, post, broadcast, transmit, make available to the public, or otherwise use EBX content in any way except for your own personal, non-commercial use. You also agree not to adapt, alter or create a derivative work from any EBX content except for your own personal, non-commercial use. Any other use of EBX content requires the prior written permission of the EBX. 5. The names, images and logos identifying the EBX, EBXM or third parties and their products and services are subject to copyright, design rights and trade marks of the EBX, EBXM and/or third parties. Nothing contained in these terms shall be construed as conferring any licence or right to use any trade mark, design right or copyright of the EBX, EBXM or any other third party. 6. By sharing any contribution (including any text, photographs, graphics, video or audio) with the EBX you agree to grant to the EBX, free of charge, permission to use the material in any way it wants (including modifying and adapting it for operational and editorial reasons) for EBX services in any media worldwide (including on the EBX’s site accessed by international users). In certain circumstance the EBX may also share your contribution with trusted third parties*. 8. In order that the EBX can use your contribution, you confirm that your contribution is your own original work, is not defamatory and does not infringe any UK laws, that you have the right to give the EBX permission to use it for the purposes specified above, and that you have the consent of anyone who is identifiable in your contribution or the consent of their parent / guardian if they are under 16. 10. Please do not endanger yourself or others, take any unnecessary risks or break any laws when creating content you may share with the EBX. 11. If you do not want to grant the EBX the permission set out above on these terms, please do not submit or share your contribution to or with EBX. 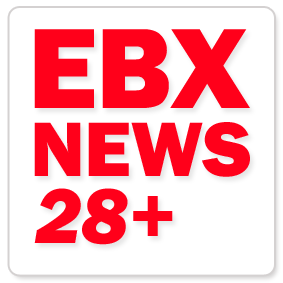 *In the case of news-related material please note that this may be shared with the EBX’s overseas partners; these are all reputable foreign news broadcasters who are prohibited from altering the material in any way or providing it to other UK broadcasters or to the print media. 12. If you have any questions about contributing content to the EBX, please see our FAQs. 14. You agree to use EBX communities (including message boards) in accordance with the following Community Rules. These apply across all EBX community sites and services. You should, however, read the local house rules of the particular site or service you’re using, as there may be some local variations to these Community Rules. Be patient: users of all ages and abilities may be taking part in the relevant EBX community. The EBX reserves the right to close accounts if any user is seen to be using proxy IPs (Internet Protocol addresses) in order to attempt to hide the use of multiple EBX accounts, or if an non UK user pretends to be a UK user, or disrupts any of our services in any way. We advise that you never reveal any personal information about yourself or anyone else (for example: telephone number, postal address, home address or email address or any other details that would allow you to be personally identified) in any EBX community. You may not submit or share any defamatory or illegal material of any nature in EBX communities. This includes text, graphics, video, programs or audio. Contributing material to a EBX community with the intention of committing or promoting an illegal act is strictly prohibited. You agree to submit to or share with EBX communities only contributions which are your own original work. You must not violate, plagiarise, or infringe the rights of the EBX or third parties including copyright, trade mark, trade secrets, privacy, publicity, personal or proprietary rights. Please get a parent’s or guardian’s permission before taking part in any EBX community. If you fail to abide by these Community Rules (and/or any variations in relevant local house rules) when taking part in a EBX community, you will be sent an email which informs you why your contribution has been refused or edited. This email will also include a warning that continuing to break the rules may result in action being taken against your account or accounts. This action may include any content posted by you being checked before allowed to go on the site or a temporary or permanent suspension of your ability to participate in any or all of EBX community areas. If you submit or share offensive or inappropriate content to or with any EBX communities or anywhere else on EBX or otherwise engage in any disruptive behaviour on EBX, and the EBX considers such behaviour to be serious and/or repeated, the EBX may use whatever information that is available to it about you to stop any further such infringements. This may include informing relevant third parties such as your employer, school or email provider about the infringement(s). EBX reserves the right to delete any contribution, or take action against any EBX account, at any time, for any reason.